Pioneers in the industry, we offer duct tapes, paper tapes, films tapes, pvc insulation tapes, double sided tapes and double sided tissue tapes from India. 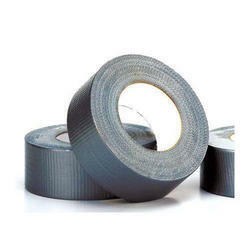 Duct Tapes is cloth or scrim-backed pressure sensitive tapes often laminated with polyethylene. Some have a long-lasting adhesive and resistance to weathering. Paper Tapes are available with kraft, crape or any kind of recyclable paper coated with adhesive. Films Tapes are made with BOPP/Polyester/PVC/LDPE/PTFE film coated with single and double side adhesive layer according to application. Longer life and good strength. 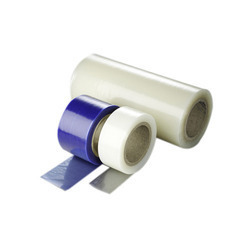 Polyester Tapes with single side adhesive coating are used as insulation in electronics and electrical industries. 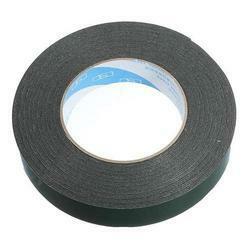 Special adhesive coated Polyester tapes are used as holding tapes in all electronic appliances. PTFE-Teflon coated with silicon adhesive can be used for non stick application in all printing and lamination industries. PVC Insulation Tapes is made from soft polyvinyl chloride (SPVC) as backing materials, good insulation, high voltage and temperature resistance. 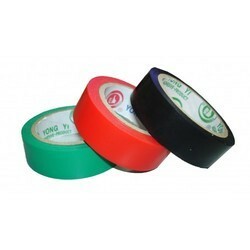 Floor Marking Tape are available in various vibrant colors. Available in variety of widths & lengths. Safety-coding indicating potentially hazardous areas these are also known as Marking tapes, PVC marking tapes etc. We made this Double Sided Tapes Paper, Plastic Film and Foam carrier which is coated with Acrylic/Rubber/Silicon adhesive coating depends upon the surface to be bonded, application period and temperature resistance required. Foam and Felt lamination, Splicing of paper/film and metal coils. Mounting of metal/paper/plastic/glass/mirror in automobile industries, appliance manufacturing, aerospace industries, construction (metal facade, curtain wall, Glazing & cladding). Metal coils manufacturing, paper industries, Printing Industries, leather-cloth industries and signage industries. Double Sided Tissue Tapes is made from non woven-tissue paper coated on both sides with acrylic adhesive or hot melt rubber adhesive and laminated with release paper. Foam and felt lamination in automobile and appliances manufacturing, Splicing of films/paper/ oils, lamination and fastening in paper/plastic and printing industries, adhere posters & envelopes, in shoe and leather industry, for computerized embroidery, for mounting nameplates, metal/polycarbonate stickers etc. Paper Masking Tapes comes with different grades like Paint grade, Furniture grade, automobile paint grade and High-temperature resistance grade. Widely used for color separation and painting made by hand or by spray, Furniture making, automobile and aircraft painting, in appliance manufacturing, decorative glass making, powder coating, plating and sandblasting. 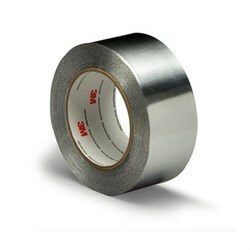 Aluminum Foil Tapes are coated with acrylic or rubber adhesive and available with or without release paper. 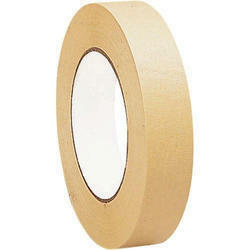 This foil tapes are available with 25 mic-100 mic thickness. Foam Tapes are made with single or double sided adhesive coating to meet the customer’s requirements. 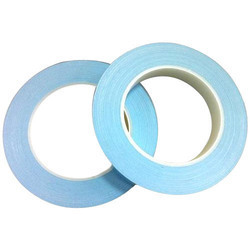 Single sided foam tapes are uses as gaskets, seals or heat or cold insulation in HVAC, automobile, refrigerator, air-conditioner, electronics appliance and electrical panel industries. Acrylic Foam Tapes (eq.to 3M VHB) are available in Grey, white, black and transparent color with paper and plastic film release. Super strong bond (SSB)- acrylic foam tapes (3M VHB) is used for mounting parts, logo and accessories in automobile industries, White goods industries, HVAC, LED light mounting, curtain wall and cladding purpose in construction. 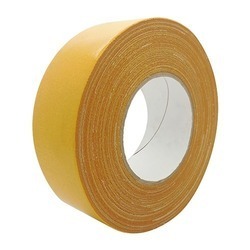 Double Side Cloth Tapes made out of cotton cloth and is coated on both sides with strong natural rubber adhesive. 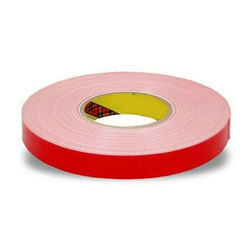 Insulation Tapes are made from the materials like paper, cloth, plastic film, foam and foils with bonding agents such as rubber, acrylic and silicone as per temperature or electrical insulation requires. Special grades of foil laminates and foams are used to make the good cold and hot insulation in HVAC projects. Cable harness also known as a wire harness, cable assembly, wiring assembly or wiring loom, is an assembly of cables or wires which transmit signals or electrical power. It has electrical insulation property. 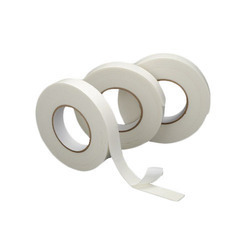 Flame retardant(FR) and ROHS grade PVC Tapes are specially used for Harnessing application. Commonly used in automobiles, Electronics appliances (white goods manufactures), aircraft industries. 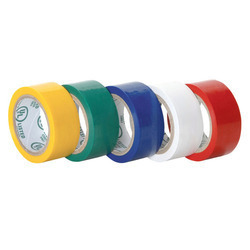 Normal PVC Tapes are used for electrical Insulation of all cables. 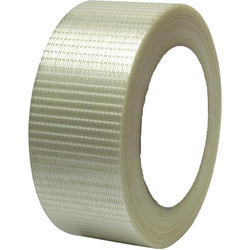 Filament Tapes are made with Fibre Glass Reinforce backing made up of Polyester Film with Glass Yarn, Coated with Solvent Based or Hot melt Rubber Adhesive. Polyimide Tapes is made from specially treated base coated Polyimide film having adhesive of silicon or Acrylic coating on another side. High-temperature resistance and solvent resistance features. 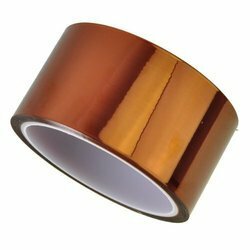 The product (Polyimide-Kapton tapes) has mainly been utilized in the gold finger protection during the components mounting on printed circuit board (PCB) through wave soldering, transformer insulation binding, lithium cell( battery) polar ear fixing, and other occasions where need heat-resistance. We have LDPE Protection Tapes in transparent, white, black & white and black colors with different thickness. Easy to peel off, excellent workability and wide range of thickness. Protection of aluminum, S.S or G.I sheets and coils against scratches and dust during transportation/carving/polishing and handling. For anodized/powder coated/PVDF coated aluminum profiles, Polycarbonates/glass and plastic body etc. The Packing Tapes are made from Film, paper, HDPE woven fabric and cloth. 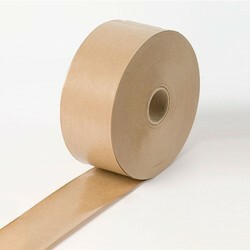 We are using BOPP film, Polyester film, kraft paper tape and reinforced cloth or film to make SticolTM Packing Tapes. 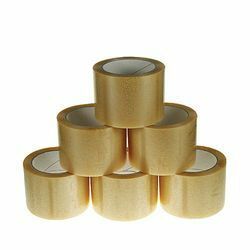 Packing Tapes are made for packing of boxes, sealing , bundling, marking or holding the products or goods. Thermal Conductive Tapes is made with such kinds of adhesive and different thicknesses (from 0.05 mm to 0.5 mm) that heat is conducted away from sensitive components while uneven surfaces are properly flattened and filled.